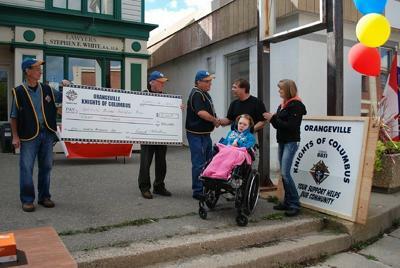 Knights of Columbus present donation to Bolton Family! 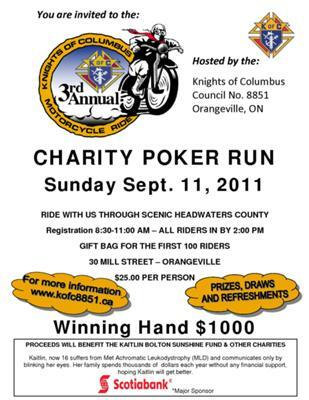 The Knights of Columbus (KofC) in Orangeville invite you to participate in our 3rd Annual Motorcycle Charity Ride in support of the Kaitlin Bolton Sunshine fund and other KofC charities. Kaitlin, now 16, suffers from Met Achromatic Leukodystrophy (MLD) and communicates only by blinking her eyes. Her family spends thousands of dollars each year without any government financial support hoping Kaitlin will get better. 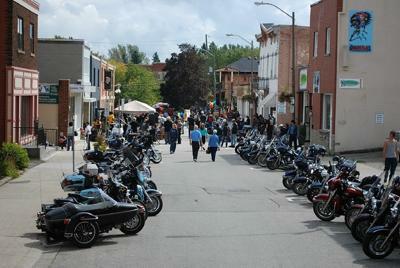 The event is a Poker Run through scenic Headwater County with a $1000 winning hand. There will be a gift bag for the first 100 riders along with prizes, draws and refreshments.